Why Use LienItNow for Texas Lien Documents? Texas is big, and can be hard to navigate. When you have a lot of other things to get done on a construction project, you don't want to be spending time and money figuring out how to file a mechanics lien. LienItNow.com provides the construction industry online mechanics lien forms to help contractors, sub-contractors, and material suppliers obtain a security interest in the property owner's land, and secure the payment they've worked for. In three simple steps, Texans can complete a mechanics lien in only 10 quick minutes. Once a time-consuming process for construction companies, LienItNow.com makes filing your mechanics lien faster and easier than ever. LienItNow.com can also help you create bond claims, pre-lien notices and lien releases. What is a Texas mechanics' lien Claim? In Texas, mechanics' liens are created by constitutional right and by statute. A Constitutional Lien, which establishes a Texas Construction Lien, is available only to contractors in direct contractual privity with the owner for the improvements to the property. Statutory mechanics' liens may be asserted, similar to other states, by general contractors, subcontractors, materialmen, mechanics, or artisans. A Texas mechanics lien that is filed with regard to work performed on privately owned property attaches to and encumbers the fee simple ownership of the property. Real estate brokers of commercial property also have Texas mechanics lien rights for unpaid commissions in the state of Texas. It is important to understand that just because the Texas Constitution and the Texas Mechanics Lien Law (property code) establish liens for contractors and subcontractors, liens are not automatic. The protection a lien provides under the Texas lien laws can only be provided if the lien is actually filed. In Texas, construction liens are not effective against innocent purchasers of property, or against lenders, unless the construction lien is filed in the form of a lien affidavit. For public projects, a lien against monies due the prime contractor may be filed. The Texas public mechanics lien claim is against monies due, not against the real property or improvements. Who can file a Texas Construction Lien Claim? Texas lien laws are some of the most expansive in the United States in terms of who has construction lien rights. 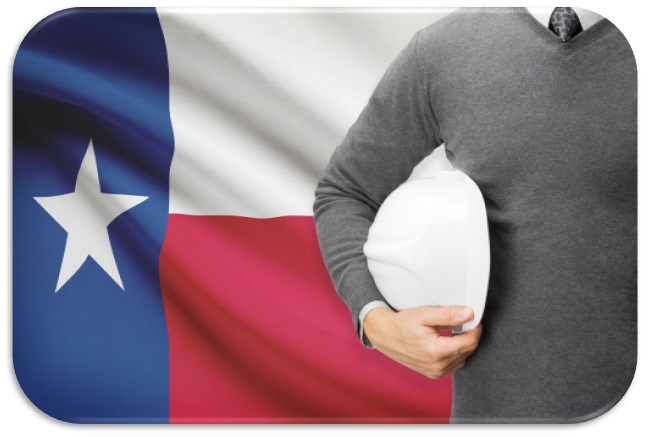 The Texas construction lien law provides broad protection for nearly everyone who provided labor, or was supplying materials or services on a Texas construction project. According to the Texas lien laws, contractors, as well as subcontractors, sub-subcontractors and suppliers who have a contract with a general contractor or a subcontractor can file a lien. Material suppliers may also file liens. The Texas mechanics lien law also states that architects, engineers and surveyors are also entitled to Texas statutory liens so long as their design is utilized in the performance of the construction work. Even real estate brokers of commercial property have construction lien rights under the Texas lien laws if their commissions are unpaid. Note that claimants that are working on Texas Homesteads must file a Homestead Affidavit of Lien, which requires its own specific information. When should a Texas mechanics' lien Claim be filed? A Texas Mechanics lien must be filed by the 15th of the fourth calendar month after the day on which the indebtedness accrued or the third month for a residential project. The timing depends upon when the indebtedness accrued which can depend on the tier of lien claimant. In the case of an original contractor has a contract with an owner, the owner's debt accrues the last day of the month in which (1) the original contract is completed, finally settled or abandoned, or (2) either the owner or contractor receives from the other a written notice of contract termination. Do I need a written contract to file a Texas Mechanics Lien? No, unless the improvements are to homestead property or the mechanics lien claimant is an architect, engineer or surveyor, a written contract is not needed. The contract may be either expressed in writing or implied. How does filing a Texas mechanics' lien Claim help me get my money? On a private project, the Texas mechanics' lien places an encumbrance on the property that makes it difficult to resell or refinance the property without first removing the mechanics lien. When should a Texas Discharge of mechanics' lien, or Texas Lien Release claim be filed? Texas lien waivers are the final step in the lien process, and caution should be taken before filing one. The filing of a lien waiver is final, and if payment has not been made, may preclude any refiling of a materialman's lien. LienItNow.com prepares, files and serves Texas Discharges of mechanics' lien Claims. Once the lienor has been paid the amount contained in its lien claim, or has come to an agreement that requires the lien claim to be removed from the property records, a lien release should be filed. Are pre-lien notices for a Texas mechanics' lien Claim required? Texas has a few different types of pre lien notices, known as Disclosure Statements, Notice of non-payment, and a Homestead Warning. Each type of Texas prelien notice serves a different purpose, and are differentiated below. Each type of prelien notice is required to comply with Texas lien law, and to ensure that a construction lien will be valid. On Texas residential property, the contractor has its own specific pre-lien notice, known as a Disclosure Statement. The Texas Disclosure Statement is required to be provided prior to the owner executing the contract. The Texas mechanics lien law sets for the contents of the Texas Disclosure Statement, which sets forth all of the rights and responsibilities of the owner, as well as the lien rights and payment rights of the contractor, subcontractors and suppliers. The Disclosure Statement required by the Texas lien laws on residential projects not only provide a benefit to the owner by explaining how the construction lien process works, but also provides a benefit to the contractor and subcontractors by ensuring that potential construction lien rights are secured. For all projects, the contractor should attach a list of subcontractors and suppliers to the contract, or provide one with its first payment request. A signed periodic statement that lists the bills or expenses that the original contractor intends to pay or have been paid under its request for payment must also be provided. If the Texas lien claimant is not the original contractor (i.e. is a subcontractor or supplier), notice of unpaid amounts, or a prelien Notice of Non-Payment, must be given directly to the owner and the original contractor. Specifically, any Texas lien claimant must file its Affidavit of Lien in accordance with Texas statute. Texas Notices of Non-payment have specific legal effects that provide enormous benefits: when payment is due and owing, providing a notice of non-payment freezes funds owned from the owner to the general contractor, essentially ensuring that the noticing subcontractors and suppliers will be paid for the work performed or materials delivered. For work performed on Homesteads, the Notice of Non-Payment must contain specific information and warnings to the homeowner. Can you file a Texas mechanics' lien Claim without a pre-notice? Claimants whose contract is not with an owner, such as subcontractors or suppliers, should provide the project owner periodic written notices of the unpaid value of the claim. These notices should be issued periodically and not solely upon the completion of work. If the Texas pre-lien notices of non-payment are not provided, the mechanics lien can be invalidated even if the mechanics lien itself is filed properly. Texas pre-lien notices of non-payment to the owner and original contractor should be issued no later than the 15th of the third month following each month in which the claimant performed all or part of its work. In the case of lower tier claimants “e.g. sub-subcontractors”, these periodic notices should be provided to the original contractor no later than the 15th day of second month following each month of which the claimant performed all or part of its work. Disclosure Statements and Homestead Warnings must be provided to preserve lien rights on residential and homestead projects. Can I file a Bond Claim on a Texas Project? Bond claims can only be filed on a project where the owner, contractor or subcontractor has obtained a payment bond to ensure that every contractor receives payment for the work performed on a Texas construction project. The payment bonds issued by sureties for construction projects in Texas have specific timing requirements, but most require claimants to submit claims against the bond within sixty to ninety days from the claimants' last date of work. In Texas, bond claims are as or more effective than a lien claim because the payment bond acts as a guarantee that payment will be made for work properly completed. What is a Texas Stop Notice and why should it be filed? A construction stop notice is a notification that has the ability to enhance the effectiveness of a mechanic's lien. A Stop Notice, or a notice to withhold funds, is sent to the company that is financing or funding the construction funds for a project. Once that company receives the Stop Notice, it knows that it should withhold sufficient money to satisfy the stop notice claim. The purpose of the Construction Stop Notice is to provide the lender, financiers or funders of the construction project notice that there is money owed to a contractor, subcontractor or supplier so that an inquiry can be made as to why that money is not being paid. Do I need to file a Pre-Notice to make a claim against a Texas payment bond? Depending on the terms of the payment bond, sending preliminary notices on a bonded construction project may or may not be required. LienItNow.com recommends that, prior to or immediately after starting work or delivering materials to a Texas construction project, subcontractors and suppliers, send a notice informing the bonding company and the purchaser of the payment bond, that it is a potential beneficiary of that bond.